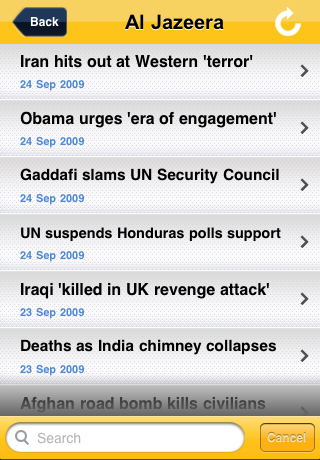 RSS news feeds from major news agencies like Al Jazeera, BBC Middle East, Gulf Daily News, Washington Post Middle East, and so on with the ability to add additional news RSS feeds. 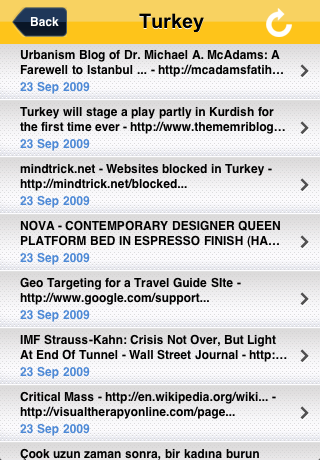 RSS feeds from regional blogs such as Migrant Rights, Sudanese Thinker, Muslimah Media Watch, Promised Land Blog (Israel), and more with the ability to add additional blog RSS feeds. 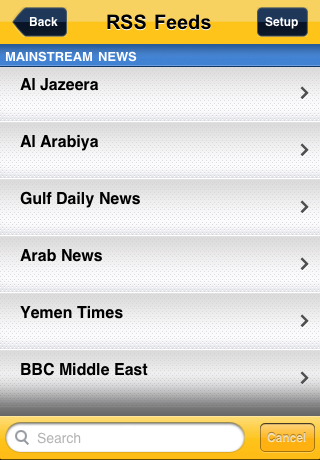 Twitter feeds from all over the region, including the entire Middle East and Northern Africa. 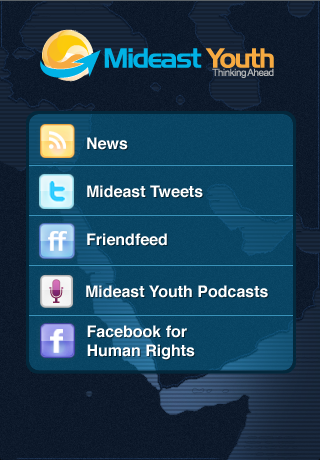 Friendfeed feeds from all over the region, including the entire Middle East and Northern Africa. 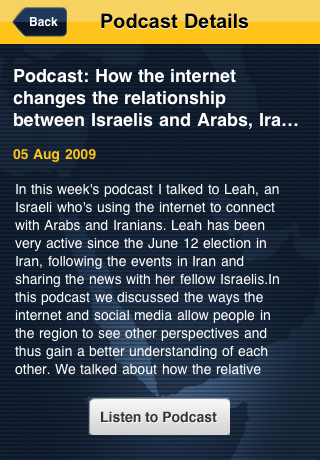 Mideast Youth Podcasts on topics including how the Internet changes the relationships between Israelis and Arabs, interviews with protesters and actors, the role of the Internet in reporting about Gaza, and more. 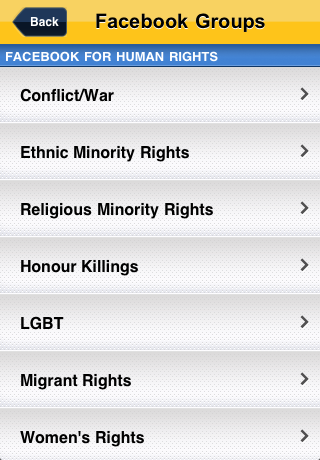 Facebook groups for human rights on topics like ethnic minority rights, honour killings, migrant rights, women’s rights, free speech and groups for peaceful dialogue about topics such as peace in the Middle East, academic discussion on the Middle East, Middle East youth initiatives, and more. 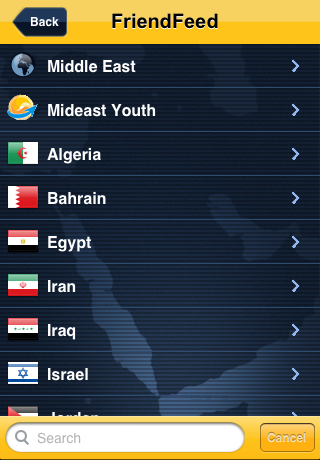 The Mideaset Youth iPhone application uses technology such as an RSS/ATOM reader, Twitter API compatibility, FriendFeed API usage, and a restricted web-interface which conforms to Apple guidelines in not allowing unrestricted Internet access. The application also utilizes a fairly customized interface where most iPhone components have been styled (or replaced) by custom graphics created by a graphic artist.